PROJECT DESCRIPTION: 6 day complete renovation of the rear patio area in the spring of 2014. New reclaimed redwood posts and beams were installed to support a retractable awning to cover the dining area in foul weather. New benches and seat backs were installed using ipe wood and salvaged fence boards; new ipe decking was installed to withstand the large amount of traffic. Units were prefabricated to allow fast assembly during the short closure of the restaurant. 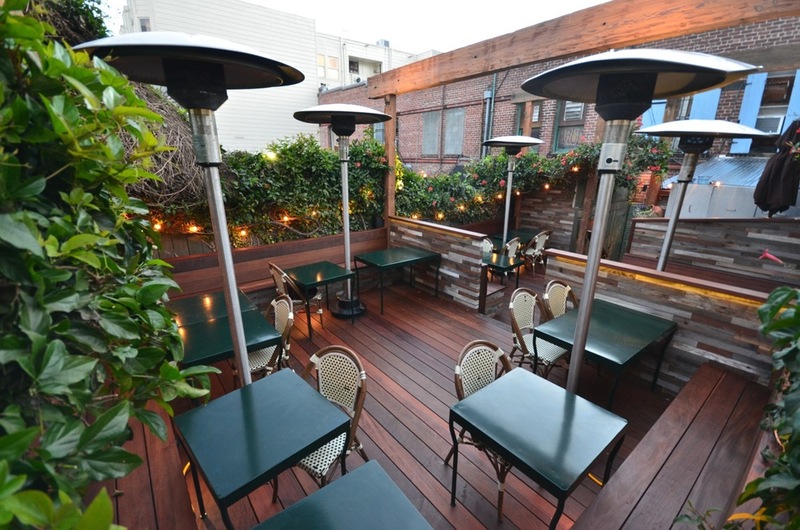 In 2015 Zazie was awarded Best Outdoor Dining by San Francisco Magazine.